We had a very productive morning in the Hammock today. 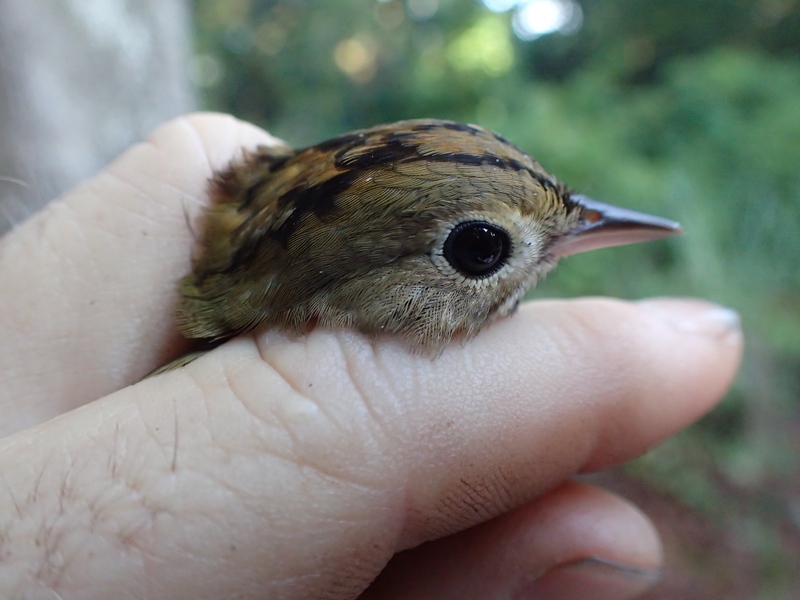 We had a total of 27 birds (23 new/4 recaptures). 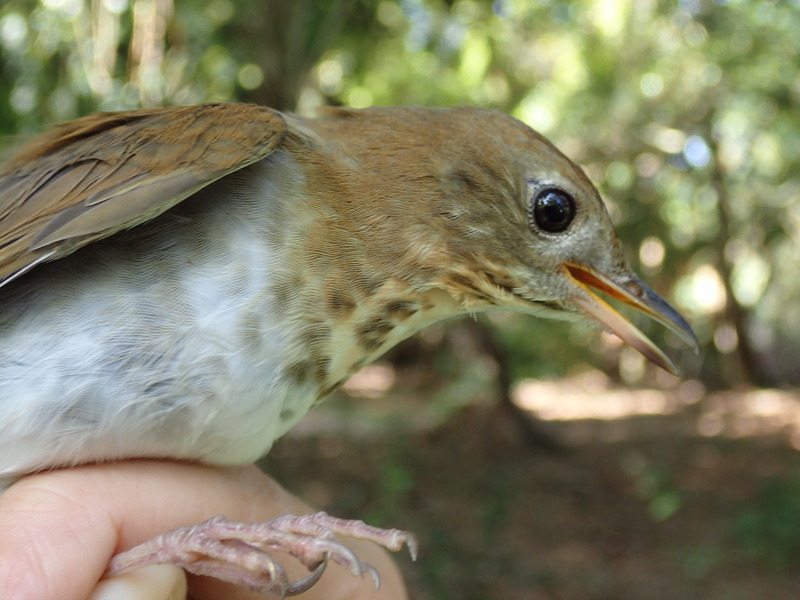 Again, the Northern Cardinals were the most frequent capture with 9 new and 2 recaptures. Most of them were undergoing heavy molt. The highlights among the migrants were a Least Flycatcher, a Veery, a pair of Northern Waterthrushes and a female Summer Tanager (with lots of fat). 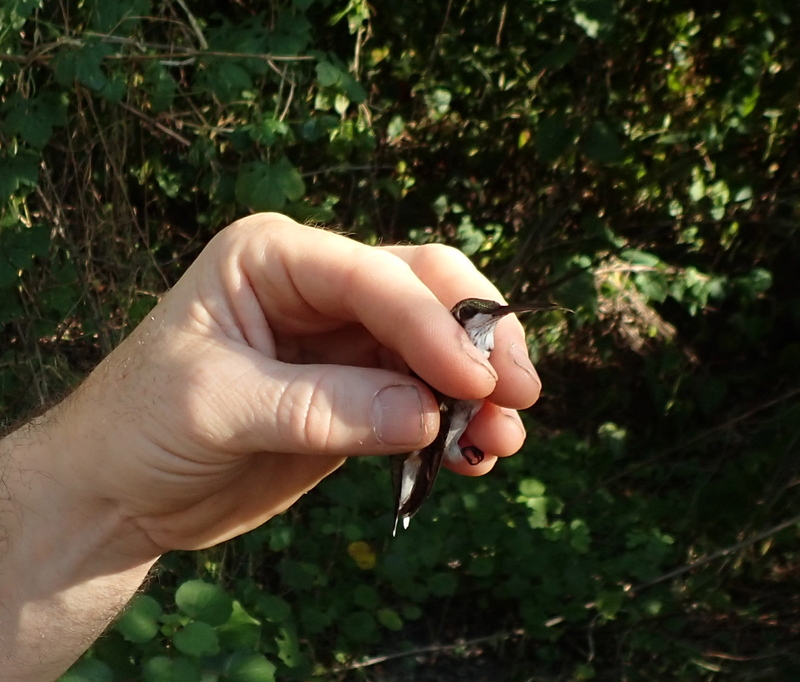 We also caught a ruby-throated hummingbird which I released after removing it from the net. 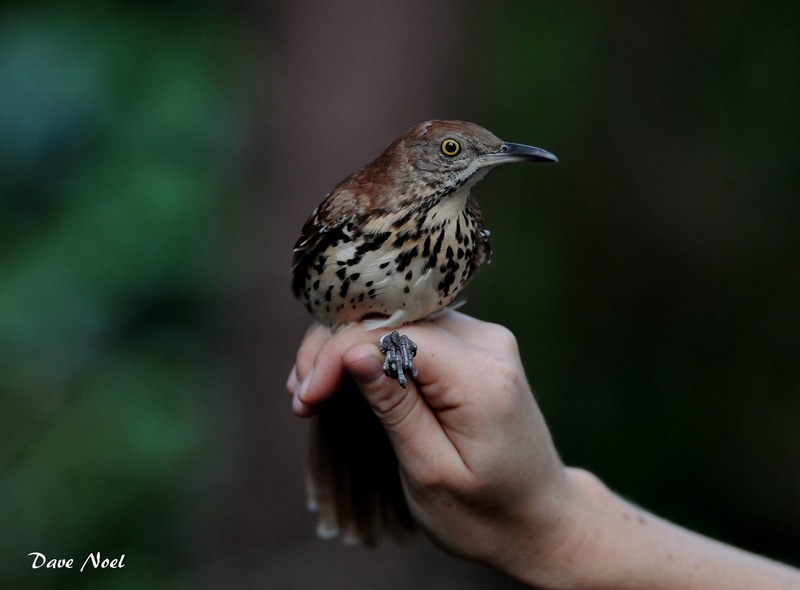 It was great to have a variety of birds for the visitors to the banding station. Today was “kid day” with a number of children visiting the banding station for the first time. NOTE: We will NOT have banding next sunday but will be resuming on October 5th. 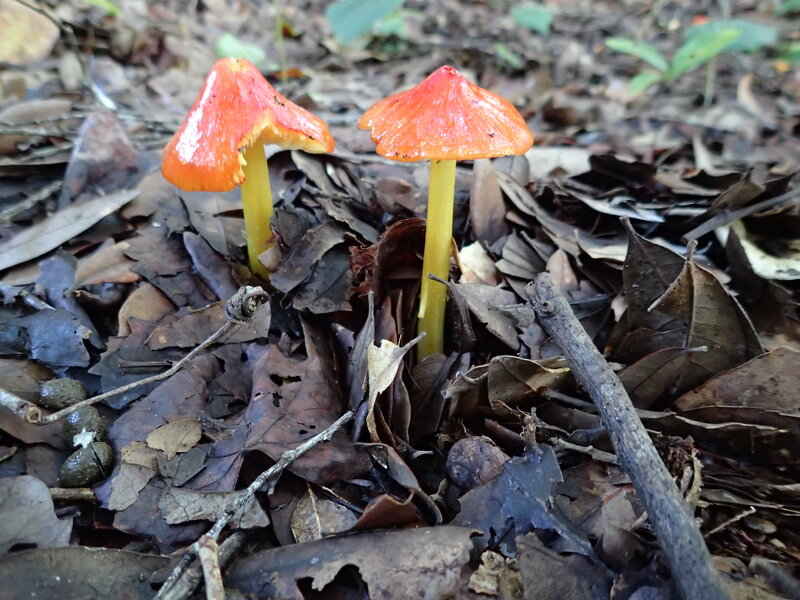 Cool fungi were all over the park as a result of yesterday’s rain. I had forgotten how little hummers are. Nice to see multiple birds on the line. Slow Day for the Birds but Great Day for Visitors! Today was a big day for the residents – birds and people. We had a good number of Northern Cardinals and Carolina Wrens with a few migrants to keep it interesting. We picked up a nice male Hooded Warbler, an Ovenbird and closed with a Blue-gray Gnatcatcher (only the second one ever). 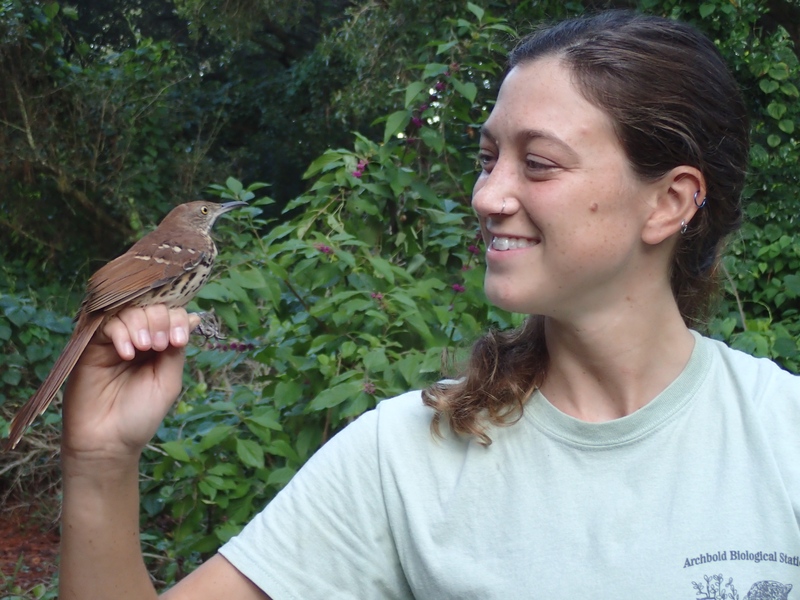 Also, as expected, we picked up a few hatch year birds including a young Brown Thrasher with a heavy molt going on. 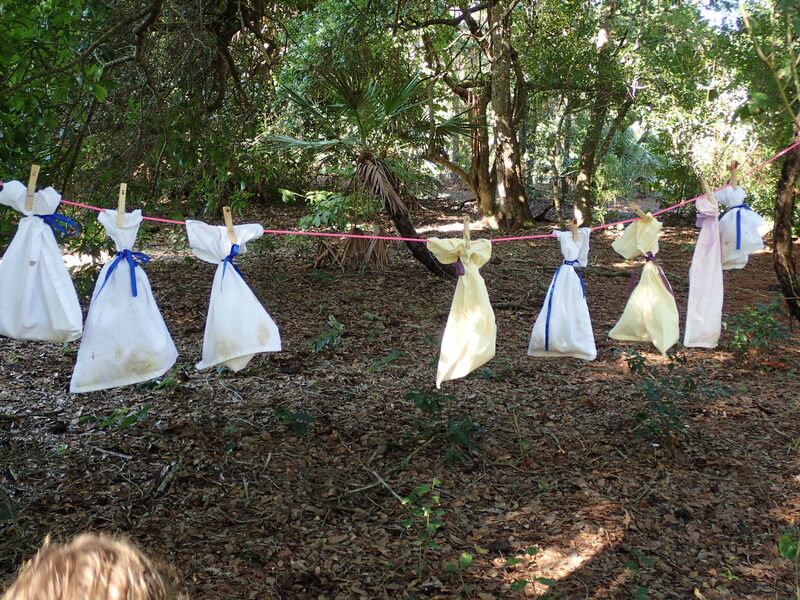 It made it easy to show visitors to the banding station how birds new feathers grow in during the molt. We enjoyed a visit by Jeanne Murphy/Brian Lane’s Master Naturalist class. Many of the students were residents of southern Pinellas County who had never been to Hammock Park so it was great to be able to show it off a bit. Thank you Jeanne & Brian for bringing your class and introducing them all to bird banding research. With the projected rainy weather later this week we are hoping the winds will bring us many more migratory birds! Dave Noel photographing a new subject. Volunteer Becky Windsor making a new friend. 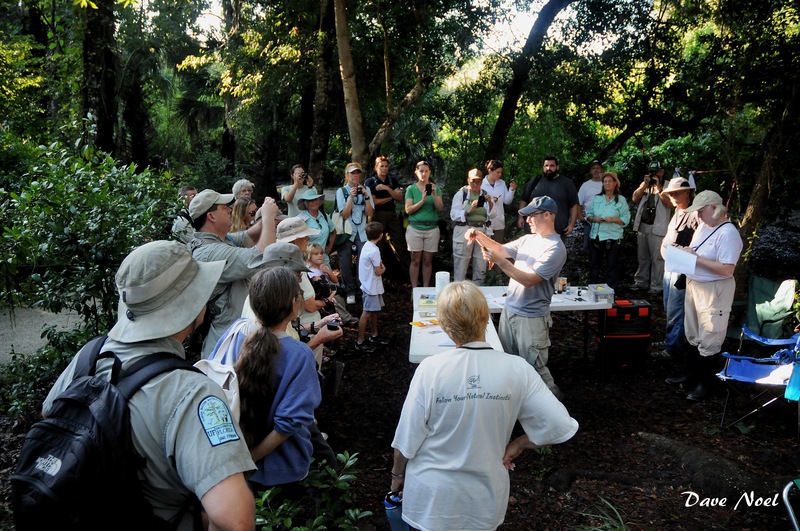 The Florida Master Naturalist class visits the banding station.